Istabai is your entire home in the palm of your hand. With the touch of a button, you can set the perfect temperature in each room of your home. Or you can make it follow your schedule so that your home is exactly as you like it, when you want it. With the Istabai mobile app, you can manage heat in your home from anywhere in the world. Simply set the temperatures you enjoy and prepare for a warm welcome. 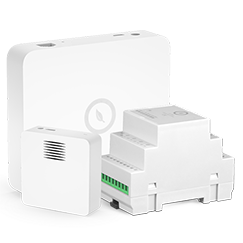 Increases home security by notifying you of unauthorized motion at home. 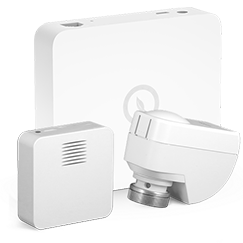 The motion sensor keeps an eye on your home while you're away. It can be used to automate lighting and other electrical devices. Keep a finger on the pulse of your home at all times. Is it compatible with my home? 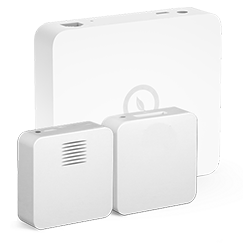 With the Istabai smart home automation system you can manage heat in your home from anywhere in the world. Save on energy while you're away and turn the heat up on your way home. Save on energy bills and keep your home a place you feel your best. Every time you turn the heat down, you reduce CO2 emissions. Istabai can do that automatically for you. While you’re away, it turns the heat down, and then it warms your home up right before you arrive. Save money and keep your environment cleaner. 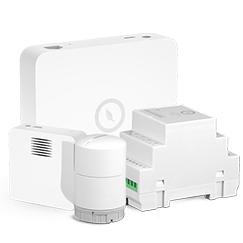 A smart heating set that includes one base station, a temperature sensor and a boiler switch.